Lower your stress levels for a happier, healthier, and more enjoyable life. 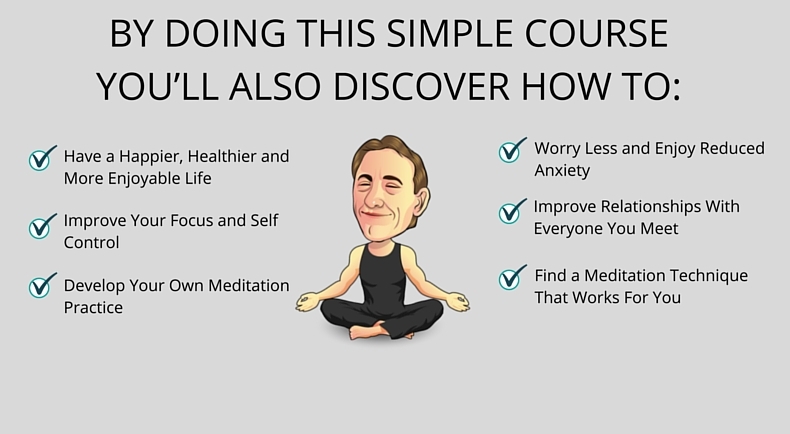 Master your meditation practice in just 7 days so you can enjoy more calm, clarity, and focus. Discover what type of meditation technique will work best for you and your circumstances. HOW DOES THE 5-MINUTE MEDITATION METHOD WORK? Most meditation methods are about using sound or imagery to help stimulate your brainwaves to slow down but not many of them do a good job of it. When the brainwaves slow down, then it is easier to enter into a deep state of relaxation. 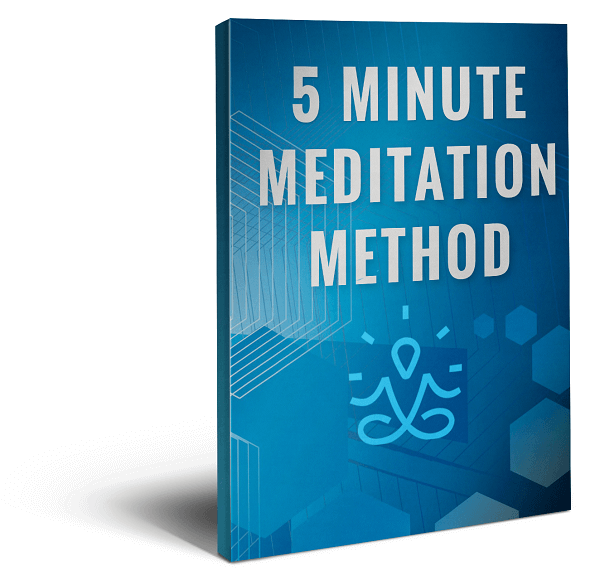 The 5-Minute Meditation Method shows you exactly how to train your brain and focus your attention to step back from the busy mind. This causes the mind to naturally become quiet because you are no longer caught up in the distractions of your thoughts and feelings. The result is that you start to instantly enjoy a relaxed awareness of yourself and the world around you. You’ll be taken on a 7-day meditation journey that will introduce you to the simplest meditation techniques that you can use anytime and anywhere. 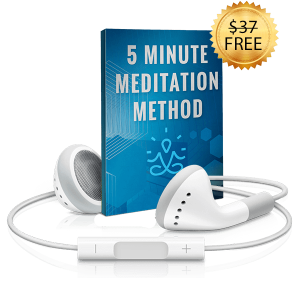 Discover in just 5-minutes a day how you easily train your mind for a happier, healthier, and more enjoyable life. Here we look at some of the research and science behind meditation and what kind of benefits you can expect. We also look at the 2 main types of meditation and how to know which meditation technique is right for your circumstances. This is where we dive into how to get the best results from your meditation.  You’ll also be shown a step-by-step plan of how to develop a regular meditation practice that works for you, as well as how to easily overcome the most common obstacles to meditating deeply. Discover what type of meditation technique will work best for you.